This is a Script that allows you to include tabs (tabbed pages) into a website page. The script is well-commented so you can always get to know which attributes to change in order to customize the slider functionality. The tabs are represented with a bullet list (<ul> tag) with the .tabs class. 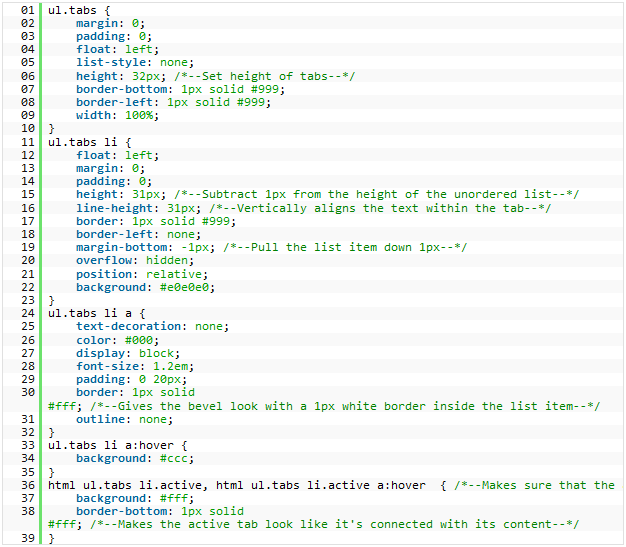 Each list item (<li> tag) contains an anchor #tab1, #tab2. Accordingly, there is a <div> tag with a correspondent id (#tab1, #tab2). This entry was posted in Tabs. Bookmark the permalink.